The Baptists have posted on Twitter that their National Christian Cup final will take place at The Valley, home of Charlton Athletic, on Saturday May 18 with a 5pm kick-off. 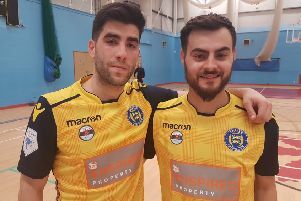 Their opponents will be St Sebastians, the Liverpool-based team which beat Battle in the semi-finals en route to winning the competition last season. Admission will be £10 for adults and £5 for concessions. The club says it is working on travel options and will provide them soon. Battle have happy memories of playing at The Valley because it was there that they won the same competition back in 2017, beating Liverpool-based Bridge Chapel 3-1. The Baptists have come through four rounds to reach this season’s final, defeating St Mary’s West Croydon 3-2 in round two, Newgen (Kent) 4-1 in round three, St Teresa’s Norris Green (Liverpool) 4-2 in the quarter-finals and Bankhall Mission (Liverpool) 2-1 in the semi-finals. Battle still have one more East Sussex League Premier Division match to play before the final. They will host Robertsbridge United on Saturday April 27 seeking a victory which would secure the runners-up spot and possibly even the title - if current second-placed side Sidley United lose at home to Robertsbridge this coming Saturday.